How to watch Central Intelligence (2016) on Netflix Australia! Sorry, Central Intelligence is not available on Australian Netflix, but you can unlock it right now in Australia and start watching! With a few simple steps you can change your Netflix region to a country like South Africa and start watching South African Netflix, which includes Central Intelligence. 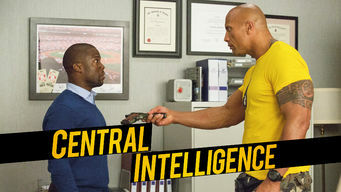 We'll keep checking Netflix Australia for Central Intelligence, and this page will be updated with any changes. Central Intelligence is not available in Australia BUT it can be unlocked and viewed! A CIA operative contacts a former high school buddy with accounting chops to help dissolve a lethal plot against U.S. undercover agents. The bullied dork is a brawny secret agent. The class president now crunches numbers. It’s going to be a boss reunion. There is a way to watch Central Intelligence in Australia, even though it isn't currently available on Netflix locally. What you need is a system that lets you change your Netflix country. With a few simple steps you can be watching Central Intelligence and thousands of other titles!